How are you using LinkedIn groups? Did you know there are 2.1 million groups on LinkedIn as of 3/25/13 as reported by DMR. – that’s a whopping number and all the reason to get involved and we’ll give you some of the main reasons why. 1.) Position yourself as a thought leader by participating as well as starting discussions to engage your LinkedIn network. 2.) Meet like-minded people within your niche, we can’t know everything right? So learn from your colleagues. 7.) Sign up for LinkedIn Premium account. Maximize your professional LinkedIn profile, you can link to your business Twitter account or various social marketing platforms. Our experience has found that by automatically linking, say, your blog to your LinkedIn profile it is easily to share your best insights with your LinkedIn contacts. It’s much about building personal credibility, , visibility, usability and sellability. When it comes to the social world on-line, you grow leads by understanding the LinkedIn sandbox and sharing helpful pearls of web wisdom. A premium account will empower you with more options. Additional feature like some useful tools such as InMail allow messaging any user directly without needing to know their contact information. You also gain an expanded search results page, a contact organizer, and more benefits are added regularly. Some members find that the most unique and powerful aspect of LinkedIn is the ability to filter users by key demographics and interests. If you are looking for a specified customer persona, you can filter through your LinkedIn contacts by industry, company size, an individual’s position in the business, and much more. LinkedIn offers one of the most robust databases you will find any where in social media. LinkedIn provides top level tools to put these tips for the magic of lead generation on LinkedIn into place. You can easily decipher who you want to network with immediately and by searching through LinkedIn company profiles. You can message these business directly and have more options with a paid account. I can help you avoid making the same mistakes I see quite frequently on LinkedIn. With a well designed message sent straight to individual of high interest, you can reach out with an improved level of success over cold-calling. 3.) Monitor the posts for content and particularly spam. The quickest way to dilute the good content of a group is to allow participants to post self promotions in the discussion area. 4.) Create good discussions and invite people you know who are great at starting conversations to participate. LinkedIn groups are values as the most powerful feature of LinkedIn. Nor arguing – hands down it’s the winning LinkedIn feature. LinkedIn For Business has helped both businesses and individuals craft their entire business and market a number of products / services in this platform alone. Read more LinkedIn strategies for lead generation and improved visibility in LinkedIn groups. LinkedIn is a world class social website with your top tools for business networking, references, and job hunting, but it has even more huge potentials. Chiefly, it can be your top performing platform to grow your business as well — if you use it right for lead generation. How Many Groups Should You Join? You can join up to 50 groups on LinkedIn. Often people ask me if more is better and the answer to that in my opinion, is “No” unless you plan to monitor all of the groups. I find it challenging to participate in more than about 10 or 12, but you will have to decide for yourself. Joining groups is such a great way to prospect and meet new people who are your target audience and engage them in conversations. Again, choose quality groups with great discussions and don’t be a spammer yourself, remember the 80/20 rule, give 80% great content that helps people and only 20% self-promoting content. LinkedIn is the premier social networking site for professional groups. It is 200 million members strong and growing. If you aren’t using it as a prospecting tool for lead generation, your business may be missing out on a lot of opportunities. 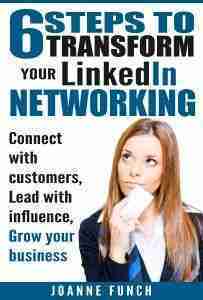 As you grow more leads, you will find your self-energized and feel empowered to use LinkedIn more. Focus on crafting conversations in LinkedIn communities to drive members of those groups to the content that features your primary services and skills. On top of getting additional exposure, you can strengthen your credibility and position your company as a thought leader that prospects on LinkedIn will want to connect with and do business with. You also have the opportunity to purchase a LinkedIn direct ad that will be both viewable by your target market and recruiters. Locate them by job title, function, interests, industry and company size, and seniority, or their membership in LinkedIn groups. What are your favorite groups? Please share with us in the comments below. If you really enjoyed this post, please help us to spread the word by clicking one of our social media sharing buttons.